Solartech is now a division of Solar Group Ltd.
Do you know which one is the right one for you? 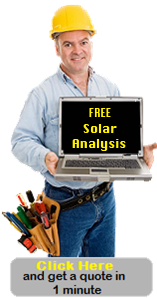 Our 50 exclusive dealers in New Zealand offer you top quality EDWARDS (Australia) solar systems. Since 1963, solar Edwards is manufacturing top quality solar water systems. Some of the early models have been installed in New Zealand 25 years ago and are still saving a lot of energy to those forward thinking owners. Over the years Solar Edwards and SolarTech have won several energy awards in New Zealand and overseas. Generally, where there’s sunshine you’ll find an Edwards stainless steel solar water system hard at work. Find out if Solar is right for you? Which Edwards system will optimise your savings? How much it cost ? With the financial, engineering and technical resources of Solar Hot Water and a commitment to quality, innovation, after sales service and extensive warranty; SolarTech has become a leading force in domestic and commercial solar water heaters in New Zealand. SolarTech´s variety of products, professional advice and affordable prices, your solar water heating decision is made easy.